Busy, working people often wonder why they should bother to see a specialist when their primary care provider could address all their problems in one go (or so they think). Our answer: Nobody understands skin health better than the dermatologists who work on it every day. Dermatologists have to pass rigorous, dermatology-focused board exams in addition to medical school and a three-year residency. The additional training matters because dermatologists have to cover a lot of ground. 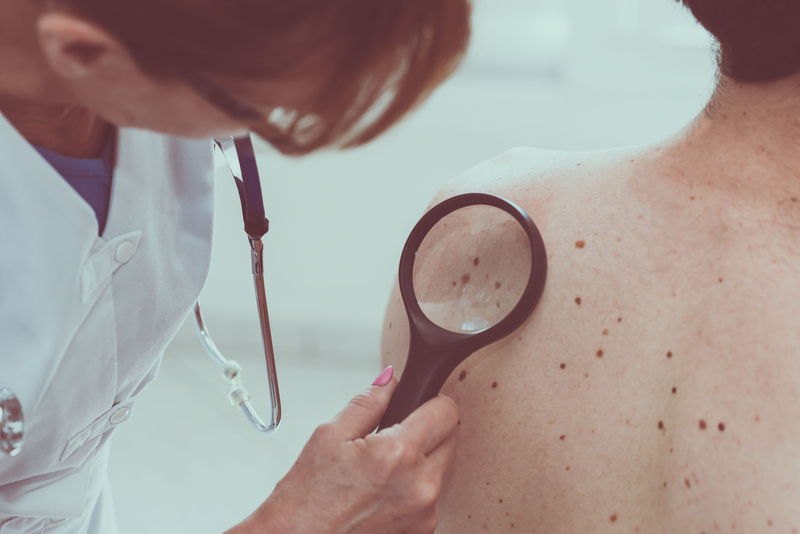 Skin is the largest organ of the body, and more people in the U.S. are diagnosed with skin cancer than all other cancers combined. While a primary care provider can be your first line of defense against skin cancer, only a dermatologist is thorough enough (and has the time) to check between your toes. "I get a lot of patients who come in for a concerning spot, and I'm able to tell them within a matter of seconds that it's a benign growth. They then ask me, "How can you tell so quickly and confidently what this spot is?" My response to them is, "When you're picking up your mom or dad from the airport, amongst all those people, how do you know it's them? You just know. As dermatologists, our special training enables us to recognize one concerning spot amongst a background of benign ones, and vice versa." If you have concerns about your skin or looking for routine care after a lifetime of sun exposure, our nationally recognized dermatologists will get you answers - and quickly. Schedule your appointment today and we will show you the impact that specialization makes.